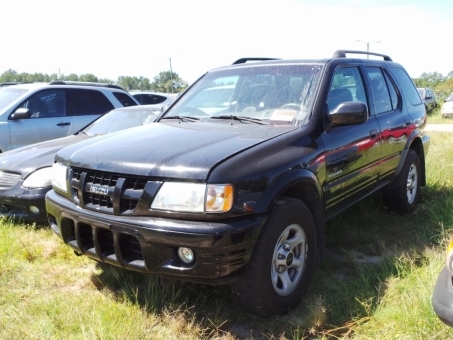 Manufacturer: American Isuzu Motors Inc. The vehicle is in a satisfactory condition technically, drives well and is very clean inside. Among options provided : Air Conditioning, Airbags, Cruise Control, Power Brakes, Power Door Locks, Power Steering, Power Windows, Rear Window Defroster, Tilt/Telescope Wheel. Our car auction practices and offers on Used Cars Finder expand and diversify continuously, allowing us to grow with the evolving needs of our customers and provide support during every step of the car trading experience. We put at your disposal useful information and efficient tools to help you find a used car, compare car prices and decide on which auctioned car to bid. Online car sales can be safe and convenient if you choose a reliable partner as our public car auction is. Used Cars Finder offers thousands of new auctions daily, and buying a nice used SUV or a reasonably priced Mercedes is simpler and more enjoyable with the support of our competent team. Win cars at our auctions with confidence, we work with only verified customers and provide vehicle inspections and history reports on the used cars for sale we advertise. Find us straight from your mobile and appreciate the advantages we offer, that distinguish us from the rest of the similar car finder websites.